Stopped at Remote for one night traveling from the coast to central highway. Beautiful setting in a little valley next to a creek nestled in the trees. Plenty of space with great hostess to show off amenities. Has a great outdoor covered entertainment area complete with bar, comfy chairs and couches, big screen TV's and a large fireplace. Flat spaces, but on gravel and dirt. The restrooms were individual and required a token to take a timed shower, but were clean. This RV park is probably used as a stop over mostly, but it's worth a few days stay, Can't beat backing your RV up to a creek and relaxing under the stars! 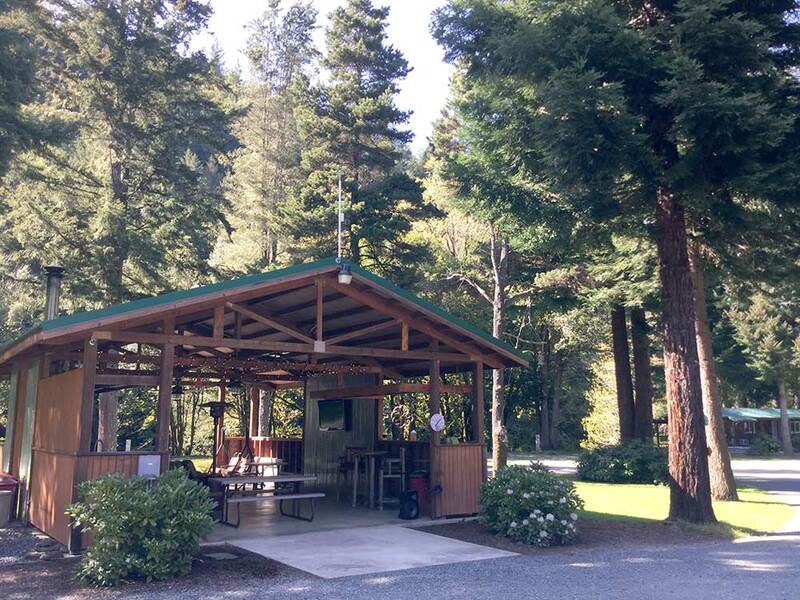 Another wonderful Holiday weekend visit to the Remote Outpost RV Park & Cabins (Memorial Holiday Weekend), this park is very well maintained and very clean. Grounds and facility's are exceptional and the owners are the best ever in hosts and taking care of their Park Guests. The Cabins are better than any 4 to 5 star resort Hotels I have stayed in, i.e. Hilton, Marriot, Hyatt which are over rated and too expensive, the Cabins are great lodging at Remote Outpost RV Park & Cabins. Greeted immediately - all information in Good Sam guidebook was as listed - but this spot is much more...EVERY detail has been considered - great place for groups - wonderful community area with large fireplace and all the comforts of home...everything you need, including bags to take care of your pet's problems when you walk down by the river...it's beautiful and peaceful here - thought there might be some road noise, but never noticed it.